NagaWorld joined hands with the Ministry of Environment, the Ministry of Education, Youth and Sport and City Hall on Friday (Dec. 7) to take action toward achieving a cleaner and greener Cambodia. 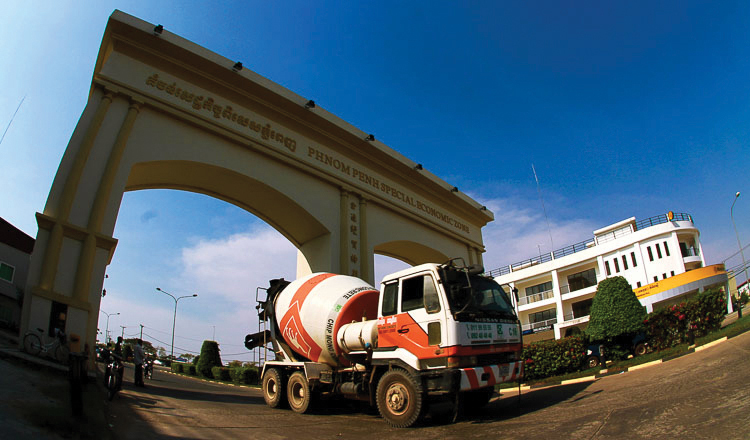 NagaWorld’s “Green Cambodia: Environmental Awareness and Tree Planting” programme has the objective of implanting a total of 1,000 trees of various species on the premises of four selected schools in the Kingdom’s capital. The project ‘s official initiation was made at Santhormok Primary School , near Mao Tse Tsung Boulevard, with a host of dignitaries and government representatives among the assembled. NagaWorld Managing Director Pern Chen emphasized that NagaWorld, adherent to the firm’s sense of corporate social responsibility, has placed environmental care in a top spot on its priority list. Since 2014, it has helped plant over 3,300 trees nationwide. 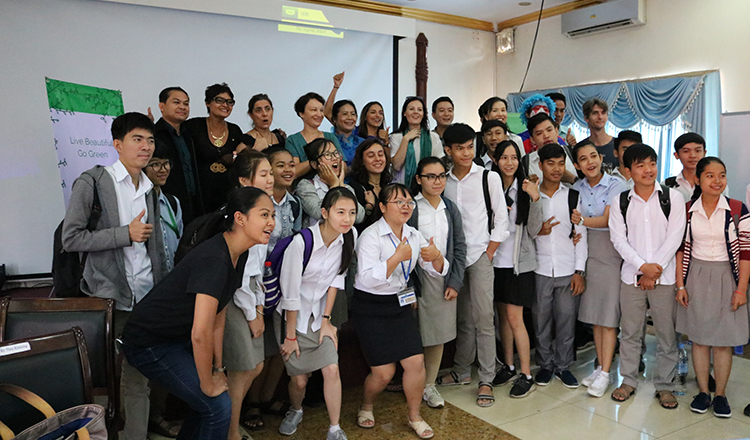 “Through the educational workshop and tree planting initiative, we hope the students will learn more about environmental conservation efforts and how they can help make a change for a greener future. They will also enjoy better air quality air and shade from the trees we planted,” he said in a statement. 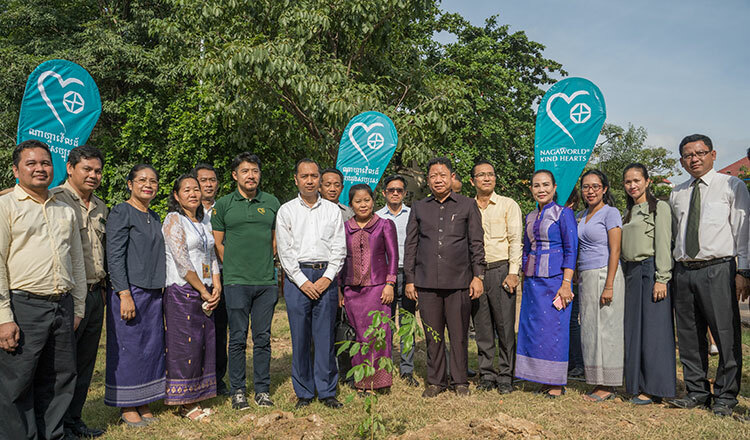 At the campaign commencement dignitaries and volunteers, school staff and students planted three types of trees: Beng (Afzelia Xylocarpa), Koki (Hopea odorata), and Kra Houng (Aquilaria sinensis), in the primary school compound. That forests are “the green lungs of our planet” and therefore necessary to preserve a healthy ecosystem for flora and fauna was acknowledged by Secretary of State at the Ministry of Environment Neth Pheaktra: “Tree planting helps mitigate the impact of climate change by absorbing carbon dioxide from the atmosphere and releasing oxygen to reduce air pollution. It also sends the message to all people that they must protect our natural resources and conserve biodiversity. The initiative has the assistance of over 100 NagaWorld Kind Hearts volunteers, all of them NagaWorld staff members who donate their personal time to the environmental-friendly initiative. Formed in 2014, NagaWorld Kind Hearts promotes volunteerism, and focuses on four key pillars: education enhancement, community engagement, sports development, and environmental care.